#9 -- The country were our oldest son currently lives -- and which Cheryl and I intend to visit next month -- THE NETHERLANDS. I’m sure that Forbes is onto something -- even though I’d probably disagree with some of their conclusions. And by the way, the North Koreans didn’t like the Forbes list so this last spring their experts released their own list. The happiest country, according to their list, is China. North Korea is second on the list, followed by Cuba, Iran, and Venezuela. South Korea is near the bottom at 152 and the imperialist American Empire is listed as dead last. So, what do you think? Might there be some disagreement as to what constitutes happiness? A few years ago we were wrapping up a visit to Disneyland -- which pitches itself as "the happiest place on earth." And I think we were standing in the parking lot waiting for a tram to our distant car. And there was a woman standing near us having a yelling match with her malfunctioning family. I don’t know what had happened. Maybe she wanted to stay longer to do another ride on the Teacup or the line for Pirates of the Caribbean was too long. Who knows what the issue was. It was so melodramatic that it was all we could do to keep from laughing. But it was obvious that she was counting on that experience on that special day to raise her happiness meter. And it hadn’t worked. We’re all trying to figure out what happiness looks like and how to be happy. And that was certainly the case in ancient times as well. Apparently the psalmist didn’t take GDP into consideration. And the psalmist wasn’t counting on the Disney factor to tip things his way. Actually, these first two verses of the psalm introduce the whole poem. Psalm 119 is the longest of the psalms. We don’t really know who the author was but it is extremely sophisticated poetry. Some of the psalms feel like they are recordings of spontaneous outbursts of praise or lament. But this one is extremely calculated and orderly. Psalm 119 is an acrostic poem where each of the 22 stanzas begins with one of the 22 consonants in the Hebrew alphabet. And actually, it’s not just the stanza that begins with a word that starts with the consonant, but each line in the stanza also begins with the same letter. It is an amazing feat of literature -- yet it is definitely poetry with a purpose that goes beyond Scrabble practice. So, I’m wanting to walk us through Psalm 119. We’re not going to do it all at once -- perhaps a few weeks here and few there. We want to let it sink in and then return for more. 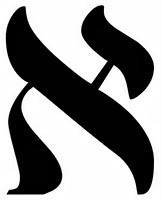 This morning we’re looking at the first stanza -- which is found in verses 1-8 and in Hebrew each line begins with a word that starts with the first letter in the Hebrew letter -- Aleph -- or sometimes written Alef these days. The compact Twitter version of the psalm is: Those who hear and heed God’s message are the happiest people on earth -- regardless of what life throws at them. And that's also the key point this morning. And by “happy” we’re not talking about a pollyanna, always bubbly, syrupy, chatty happiness. Rather this is the “truly happy” that the CEB renders in verses 1 and 2. Some versions translate the idea as “joyful” (NLT) or “blessed” (NIV) -- all of which are great translations for an idea that does not fully translate into English with a single word or phrase. This morning I want to quickly note the five contributing factors to happiness that the psalmist lists -- and it is a fairly quick list because they are all interrelated ideas. This poem is loaded with Hebrew parallelisms. That is, as poetry the same idea is stated and then restated in slightly different ways. 1. THOSE HOOKED ON INTEGRITY. That is, they find joy and happiness in their chracter rather than in external circumstances. Integrity is who you are when no one is looking. Who is more happy? The guy who notices a $50 bill on the ground below the Salvation Army kettle at Christmas time -- No one else sees it, so he quietly stoops down picks it up, and drops it in the kettle -- never tells anyone. OR is it the guy who retrieves the $50 bill and slips it in his pocket? Obviously it did not technically belong to anyone. And then treats his friends to a round of beer that evening. Who is happier -- more satisfied? Why? Secondly, HAPPY ARE THOSE WHO FOLLOW GOD'S INSTRUCTIONS. Things always work out better when you follow the manufacturer’s instructions. Of course, you’ve got to be able to hear or read them. We bought a small cabinet for storing bowls from a furniture store on Guam. It was one of those assemble it yourself projects. I had seen one fully assembled in the store so I knew what it would look like. When we got home we opened the box and there were about 500 parts -- or so it seemed. That would not have been so bad -- except the instructions were all literally in Chinese. There was not a word of anything we could work with -- no English, no Spanish, no French. We knew that we’d never get it together right without instructions so we figured that we could call Daisy and make her sit there and go through the assembly ordeal with us. But we decided that wasn’t fair, so we put it back in the box and returned it to the store. They were kind and put a man on it who had done the same piece dozens of times before and an hour later it was done. How many of us try to operate apart from the instructions? Instructions -- law... The poet uses 10 different synonyms for the Word of God in this psalm. They all mean much the same thing -- what God has told us to do. And really, there is no shortage of instruction in your language. Scripture itself is the Word of God. It spells out what God wants us to do -- perhaps in not as much specific detail as you’d like at times. But the fact is that if we pay attention to the general details -- the things that are clearly spelled out and are obvious -- the specifics will fall into place on their own. We’ll talk more about this as we move through the psalm. 3. HAPPY ARE THOSE WHO ARE ACTIVELY LOOKING FOR GOD. How many of your problems are related to the fact that you’ve spent so much of your life going after the wrong things? Perhaps you’ve even gotten the things you set out to get and you’ve discovered that they don’t ultimately make you happy. The big house has to be cooled. The car, as cool as it is, breaks down and wears out. The credit cards have to be paid off -- and you’re feeling the squeeze which lives way beyond the vacation which you put on credit. Just stop it -- and do something else. There is a delightful Bob Newhart sketch where he gives advice to someone who has been seeking all the wrong things. 4. Then the Psalmist says: HAPPY ARE THOSE WHO REJECT EVIL. Anytime you find yourself saying that or implying that in someway, you’ve compromised too much in the direction of evil. And at the very least you are on the slide out of happiness. For you cannot be truly / deeply happy and be evil. They just don’t mix. Anyway, we’ll come back to this, as well, as we move through this psalm. 5. The Psalmist says: HAPPY ARE THOSE WHO STAY ON GOD’S PATH. How many times do you see the sign, “Stay on the path”? Every year people leave the designated pathways in Yosemite or the Grand Canyon -- thinking that they can take a short-cut or that they’re smarter than the experts who have tagged the danger. Did you know that 18 people have already died in Yosemite National Park this year? That includes three 20-something visitors from an Assyrian church in Ceres, California, just outside of Turlock where we used to live. One day in July they left the pathway, and went around a railing to take some pictures. All three fell into the rushing Merced River, just above Vernal Fall, a 317-foot drop-off onto boulders below. They never made it home. And how many of us arrogantly leave God’s established path in life -- looking for perhaps a little excitement or a quick buck or “the opportunity of a lifetime”? And we end up creating pain for ourselves and our families and our friends! Happy are those who stay on the pathway mapped out in God’s Word. The psalmist is going to tell us this over and over again in numerous ways. Psalm 119 is about the many benefits of hearing and heeding God’s Word -- his message -- his direction -- his law -- his commandments. It’s about living the blessed and happy life. The psalmist, though, quickly engages the reality of the situation and switches gears a bit in verse 5. We see that with the change of voice -- where he gets first person and personal. It almost sounds like a New Year’s lament over previous failure and resolution to go at it again with fresh energy. Then, it is a the last line of verse 8 that grabs my attention -- because of the unspoken assumption. The unspoken assumption is that -- in spite of his failure -- in spite of his inability to perfectly keep God’s Word -- he can still relate to God. God is gracious and merciful and will NOT give up on him - -- on us! Even losers and failures can turn to God. And the assumption is that God hears and heeds our requests for relationship. Ultimately, this will lead us to the life, death, and resurrection of Jesus Christ -- who is himself described as "the Word" from God. Yes, in the Bible we have the written Word of God but in Jesus we have the Word in person. And he had it all thrown at him -- all the good intentions and failures -- all the rules and directions -- the Law. And he fulfilled it all. And when you think about it, the intentions of Psalm 119 are best understood and embraced through him. For in Jesus we can truly hear and heed God’s message -- and become the happiest people on earth. God will not give up on you. So don’t give up on his Word. Perhaps your sense this morning is that you have been a dismal failure in life -- or at least you are not as happy as you should be. I want to invite you this morning to turn to the Word of God -- to the living breathing Word, who is Jesus. I want to invite you to find your happiness in him. And the way to start moving that direction is by trusting him to put your life together -- brick by brick, stick by stick, nail by nail -- and to find happiness in that faith -- that trusting. A good first step is to pray. Let’s do that now. And as I say these words -- I would encourage you to quietly repeat them either with your lips or in your heart. God, I bring to you my life -- all the successes and the failures. They haven’t truly brought me the deep happiness that I need. So I’m going to take a risk and turn it all over to you. I have heard about the cross and the resurrection. I have heard about the forgiveness that belongs to all who put their faith in Christ. So, I want to do that right here and right now. And I am trusting that you would transform me into the kind of person who stays on your path, rejects all that is evil, is constantly looking to you for direction, who follows those directions, and is a person of true integrity. Make me into a new and truly happy person. I, pray this in the name of Christ Jesus who is my Savior and Master. Amen. What a blessing to know God cares so much about me! Thank you Lord for helping us understand your words. You have made this much clearer. Thank you.